Home / News / Are you moving out of your home soon? 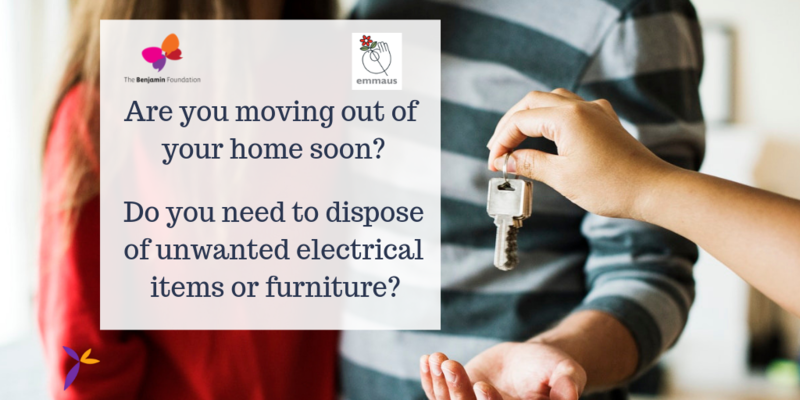 The Benjamin Foundation and Emmaus UK are two charities that will take any electrical items or items of furniture, that are in very good condition, which you no longer need. Both charities PAT test the electrical items but mattresses and sofas etc would require the fire safety certificate to be attached. You can contact them both to discuss and arrange viewing/collections by calling the Benjamin Foundation on 01603 661921 and Emmaus UK on 01986 895444.